Foods that are high in fiber and protein will keep you full longer because they take longer to digest. The meat and bean group has the most protein; it includes meat, fish, poultry, eggs, beans, and legumes. Beans and legumes are high in fiber as well, as are whole grains, and fruit and vegetables eaten with their seeds and peels. Vegetables are very filling and very low in calories too. Planning your daily caloric intake to achieve your target goal takes skill and practice; Making your menu of favorites and alternates for each meal is a helpful diet practice too. You can always switch things around to keep it fresh not boring, but ultimately your motivation is to find healthy nutritious meals you enjoy to eat, not to deprive or punish yourself daily! Americans eat 31% more packaged food than fresh food ... A sizeable portion is … read-to-eat-meals like frozen pizzas and microwave dinners, and salty or sweet snack foods. Choosing foods with least amount of processing and processed ingredients gives you far more control over the quality as well as the quantity of food. Remember you never need to eat any portion of ANY meal that's before you. Knowing the right amount to eat is as much as having the right foods in front of you to enjoy. Marketed under other names including NutraSweet, aspartame is present in many commercial products including diet foods and diet sodas, sugar-free chewing gum, sweetener packets and more - in fact 6,000 items more - including diabetic foods, vitamins, over-the-counter drugs and even some prescription medications. Controversial because in 30 years, the FDA has received more complaints (over 10,000) for aspartame than any other food additive combined. Two-thirds of reported complaints reflect neurological symptoms that can even mimic severe health conditions making them harder to diagnose. The controversy continues in that some applications of artificial sweeteners may induce metabolic syndrome, as well as simply mislead your body into how many calories you've consumed. The advertising deception in these sweeteners is that in playing on popular culture's fears about sugar, they introduce a new molecule made from distortions in amino acids (basis of proteins) implying a healthy protein connection, where there is no such merit at all. Mass-consumption of the phenyl-alanine and aspartic acid compounds in these sweeteners have documented effects that can affect brain hormone balance and more. Your best solution is to eat healthy foods free of artificial additives and misleading marketing messages! Send us your favorite diet recipes and we'll share them with our readers. and learn about safe and healthy weight loss under physician supervision. Feel free to read our Weight Loss News blog for great tips on how to lose weight and feel great. 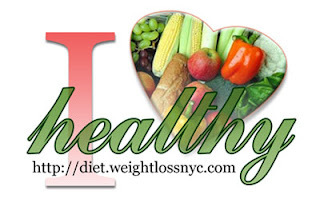 Follow WeightLossNYC on twitter @weightlossnyc or fan on us facebook. Combination of appetite suppressant phentermine and topiramate was disapproved. A panel of experts advising the US Food and Drug Administration voted against approving for sale a new obesity treatment called Qnexa, citing safety risks. 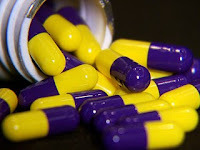 Qnexa combines two existing drugs, the appetite suppressant phentermine and topiramate. Eating healthy has a learning curve, and finding the right snacks to munch on throughout the day can be a challenge. Don't reach for those pre-packaged goodies -- even if they claim to not have many calories. Instead, snack on something that comes from Mother Nature. Not only are fruits and vegetables satisfying and low in calories, they are more budget-friendly, too. Why it's good It quenches your thirst on a hot day and also reduces inflammation that causes disease while neutralizing free radicals with antioxidants. Why it's good It's rich in vitamins K and B6, oleic acid, fiber and has more potassium than a banana. It's also high in healthy monounsaturated fat and protects against some cancers. 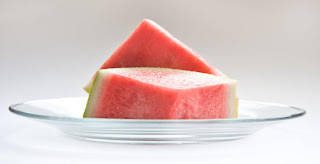 Why it's good A great source of vitamin C, potassium and magnesium, it can reduce inflammation, keep your skin radiant, lower blood pressure and even keep you cool during a heat wave. Why it's good Their antioxidant compounds prevent cancer and cardiovascular disease -- and of course, help your vision. Try it plain when you crave something crunchy or toss some into your juicer with fruit. Why it's good Its vitamin C content helps boost the immune system and it also can reduce blood pressure.